Of course, no one should gainsay the importance of combating famine, piracy, and terrorist groups like the radical and murderous Al-Shabaab. 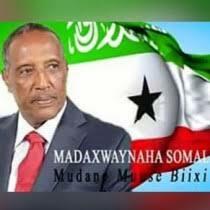 But, at the same time, we have seen my homeland, Somaliland, witness its third consecutive free, fair, and contested presidential election. And Ethiopia has emerged as one of the world's fastest-growing economies, with GDP up 10.9 percent year-on-year in 2010-2011, rivalling China and leading Africa. Indeed, Ethiopia is one of the few countries in the world poised to meet the United Nations' Millennium Development Goals on time and in full in 2015.In the wider region, too, things are looking up. South Sudan gained its independence this July at the ballot box. And Uganda has discovered large new deposits of oil and gas that will help to lift its economy. - All minorities must be guaranteed decent treatment. 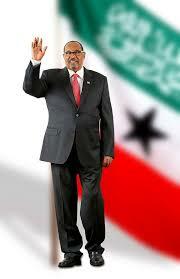 All three of Somaliland's parties adamantly support independence, confirmed overwhelmingly by a referendum in 2001. So there is no question of one clan or faction imposing independence on the others. Yet, although Somaliland is deepening its democracy each day, our people are paying a high price because of the lack of international recognition. World Bank and European Union development money, for example, pours into the black hole that is Somalia, simply because it is the recognized government. Somalilanders, who are almost as numerous as the people of Somalia, are short-changed, getting only a fraction of the money invariably wasted by Somalia.